Can Subbable Change The Face Of Online Content Creation? Subbable has the opportunity to change the way we consume content. The crowdfunded content platform was introduced back in July, and has been growing steadily since then. It is a powerful tool that allows users to not only subscribe to amazing content, but to support it as well and get a few perks in return. 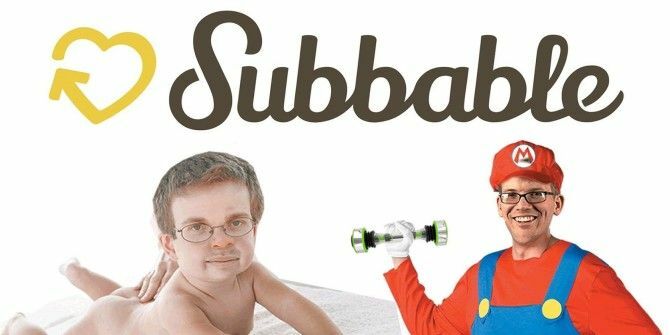 Created by the Vlogbrothers, Hank and John Green, Subbable is their attempt at redefining our model for getting content. Normally, you either have to pay to receive ad-free content (think: Netflix), or you have to endure irritating ads to access content for free (think: many YouTube channels). Subbable strikes a middle ground, aiming to get rid of ads while still keeping the content free for those who can’t afford it. Currently, Subbable is a website that allows you to subscribe to a limited number of YouTube channels, and you can pay that channel anywhere between $0-$5,000 a month, although the average subscription is about $5. This model operates on the principle that people will pay for content not because they have to, but because they want to. It’s a risk that the Vlogbrothers are taking, since most people won’t pay for content they can otherwise get for free, but it is a courageous move that has the potential to change our free but ad-based Internet consumer culture. Normally, YouTube channels are free but funded mostly through their advertisements How Money Is Made On YouTube [MakeUseOf Explains] How Money Is Made On YouTube [MakeUseOf Explains] Until a profitable, mutually beneficial alternative arrives, advertisements have to exist in order for us - the consumers - to receive content free of charge. YouTube isn't evil because it places advertisements at the beginning... Read More . There are ways to block these ads, like several ad-blocking browser extensions Stop Excessive & Annoying Video Ads On YouTube & Other Video Sites With AdBlockVideo [Firefox] Stop Excessive & Annoying Video Ads On YouTube & Other Video Sites With AdBlockVideo [Firefox] Ads are a necessary evil. In the offline world, they inform, entertain, and let the producers make money so that they can continue producing ‘great’ content for us. Thankfully when it comes to all browsers,... Read More , but there are many who feel that ad-blockers are evil Are Ad Blocking Browser Extensions Killing The Internet? Are Ad Blocking Browser Extensions Killing The Internet? One of the reasons for the Internet’s surge in popularity is the cost of most online content – or rather, the lack of cost. That’s not to say the content is free, however. Almost every... Read More , since websites and creators make their money from ads. So why would you pay for content you could get for free? Because your payment supports a project that you feel passionately about, and it means that you’re getting rid of the ads without using a pesky ad-blocker. Of the 12 creators currently on Subbable, the majority are educational, like Crash Course, SciShow, Minute Physics, or CGP Grey. If a relatively small percentage of their audience is willing to pay monthly, then the rest, who can’t afford that, are able to see the content for free. I think it’s a wonderful idea, and I really hope that those with money are generous enough to fund these projects so that those who can’t afford to pay for it will always have access. There is also a perks system, similar to the rewards for funding Kickstarter projects. Except, because Subbable works on a monthly subscription model rather than one-time payments (although you can submit a one-time payment if you want), the rewards can be purchased using money from you “Perk Bank”. Your Perk Bank is equal to the total amount of money you’ve spent to date. So if you fund one Web series at $10 a month for 5 months, you’ll have $50 in your Perk Bank and will then be able to purchase any of the perks that “cost” $50 or less. Subbable is currently running in a public beta, which means that while you can use it, all the kinks might not have been worked out yet. They’re still working on adding content creators and on a login and payment system. As such, you’ll need a Google Account to sign-in for now, and an Amazon account for payments. This may change in the future, but for now, this is how it is. To get started, just head on over to their website and click on the yellow Sign-Up button in the upper right corner. You’ll be prompted to log into Google and grant Subbable the basic permission for your account. You’ll then have to accept the user agreement before beginning. You can then find content by clicking on the Creators tab along the top. There are currently only 12 projects, and they are all Web series. If you just want to subscribe without paying anything, just enter “0” as the amount you would like to subscribe with, and you will then be allowed to come through. If you try to subscribe any real amount over $0, you’ll be prompted to log in to your Amazon account for the payment. When you visit the Subbable website, your main page will be a stream of all of your subscriptions in a format that you may find a bit simpler and nicer than YouTube. You can manage your subscriptions by clicking “Manage Subscriptions” on the right side, and that will allow you to change the amount that you’re pledging to any show, see how much is in your Perk Bank, or to set the email notifications for new content. Here’s the fun part — Perks. These things range from a mere mention in the YouTube description or a signed poster to much larger things like choosing the topic of a video or sponsoring a video with a mention at the end. The set-up is much like it is on Kickstarter with all the Perks running in a column on the right. You simply visit the page of the Creator you’re subscribed to and click on the Perk you want. You’ll then be taken to a page that shows the amount set for the Perk, minus the amount in your Perk Bank, which equals the amount you will need to pay upfront to receive the Perk. If you have nothing in your Perk Bank, and you don’t want to take the time to save up, you could just donate directly without the monthly subscription. You can’t give more than $10,000 to any Creator in one year. Bummer, I know, but the Vlogbrothers say this is due to “legal reasons”. There is a wonderful FAQ on the Subbable website, but I can summarize a few of the larger questions for you here. First of all, your money goes directly to the Creator when you make the payment. It doesn’t go to Subbable to sit around for months and then get paid out. The amount breakdown — 90% of your money goes to the creator. Amazon takes a 5% cut for processing the payment and Subbable takes a 5% cut to pay for their “overhead and server costs”. You can apply to be a Creator at Subbable, but they are growing slowly in beta right now and don’t seem to be taking on Creators very rapidly. And if you’re curious about the word “Subbable”, it’s something that the Vlogbrothers made up to say that something is worth subscribing to: it’s subscribe-able, or subbable! It will be exciting to see where Subbable will go in the future, and I hope that those of you with the funds to do so will go show your support for your favorite content. Maybe one day we’ll be looking back on this as the day that the free-but-annoying-advertisement model was slain. What do you think? Does Subbable stand a chance in the long run, or is this just wishful thinking? Let us know in the comments.